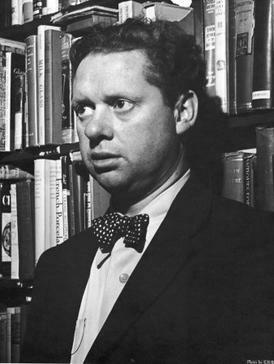 Dylan Thomas was distraught, in 1951, as his father - David John Thomas - was gravely ill. It was in that year - late in the poet's own career - when he wrote "Do Not Go Gentle Into That Good Night," urging his father to resist death as long as he could. To hear Dylan Thomas reading his own work, for the BBC, follow this link (to YouTube). "Do Not Go Gentle Into That Good Night," by Dylan Thomas - Read by Carole Bos. Bos, Carole "Do Not Go Gentle Into That Good Night, By Dylan Thomas - Audio" AwesomeStories.com. Oct 07, 2013. Apr 24, 2019.